I recently had the fascinating experience of attending the 114th national anniversary dinner of the Zionist Organization of America (ZOA) in New York. Close to 800 participants (including 100 student activists) from throughout the US gathered in New York City’s Hyatt Hotel to pay tribute to ZOA leader Morton Klein and participate in award ceremonies for charismatic and controversial author and TV personality Glenn Beck, House Foreign Relations Committee Chair Rep. Ileana Ros-Lehtinen and Congresswoman Michele Bachmann (Rep.). Founded in 1897, the ZOA is the oldest American Zionist organization. It has been headed by leaders of the caliber of Associate Justice Louis Brandeis, Rabbi Stephen Wise, Louis Lipkes, and Rabbi Abba Hillel Silver. In its heyday it was the most influential American lobbying group promoting the creation of a Jewish State and the key global Zionist fund-raising agency. After the establishment of Israel, like most Zionist organizations, the ZOA descended into rapid decline. After hovering for many years on the edge of bankruptcy, it was revived in the 1990s by Morton Klein, a child of Holocaust survivors who had served as an economist in the Nixon and Carter administrations and also worked closely as a biostatistician at the UCLA School of Public Health with Nobel Laureate Linius Pauling. Klein initially assumed the role of ZOA president without remuneration and invested much of his own personal savings into the ailing organization. Although born with Tourette syndrome, an affliction which hinders speech and almost invariably inhibits people from assuming public roles, Klein overcame his handicap and has emerged as one of the most charismatic – albeit controversial – personalities within the American pro-Israel camp. From the outset, he adopted a hardline approach which isolated and made him an anathema to most of the overwhelmingly dovish liberal Jewish establishment. His influence has grown exponentially in recent years, climaxing in the aftermath of the election of President Obama when he emerged as the most outspoken critic of the administration’s policies towards Israel. During the initial honeymoon period when most Jewish leaders deluded themselves, refusing to acknowledge the reality of Obama’s hostility to Israel, Klein was vehemently condemned for promoting what were described as extremist partisan policies. 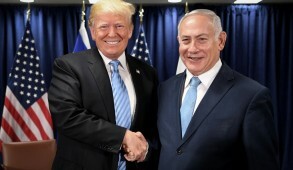 These attacks intensified when he began criticizing the Israeli government for concessions extended to the Palestinians, even castigating Netanyahu for being too soft and failing to convey more bluntly the reality of Israel’s relationship both with Palestinians and Americans. 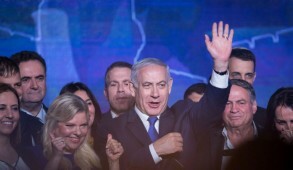 Yet that did not inhibit Netanyahu from conveying a video message to the dinner warmly congratulating Klein, the ZOA and those honored for their contributions to Israel advocacy. 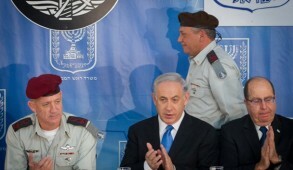 One of the inevitable consequences of Klein’s intense and unrelenting condemnation of the Obama administration’s policies was a distancing from the ZOA by Democratic supporters, including those opposed to the Administration’s bias against Israel, who regarded Klein’s attacks as too strident. Thus, this was the first time that only Republican representatives participated at such a ZOA event, denying Klein the right to claim that he enjoyed bipartisan support. Nevertheless, what made this event extraordinary was the unprecedented backing for Israel expressed by Ros-Lehtinen, the powerful head of the House Foreign Affairs Committee. Her support was not merely verbal but is reflected in the policies she promotes in Congress. She had been poised to introduce legislation to cut off US funding to the PA in response to their intensified intransigency, but set it aside due to Israeli Government intervention. 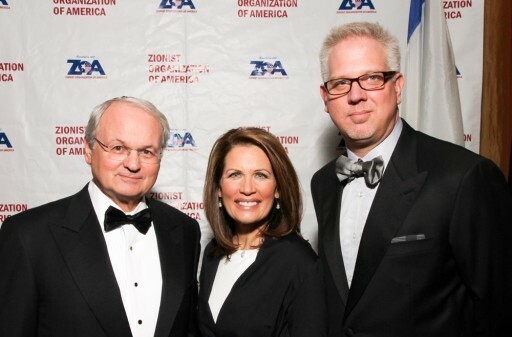 Congresswoman Michele Bachmann, the Tea Party presidential nominee and one of the most articulate Christian Zionist representatives in Congress, also made a dramatic presentation. She is unlikely to succeed as the Republican presidential candidate but will undoubtedly continue to be a very influential politician. She reiterated the evangelical rationale for supporting Israel by quoting Genesis: “those who bless Israel will be blessed and those that curse Israel will be cursed. 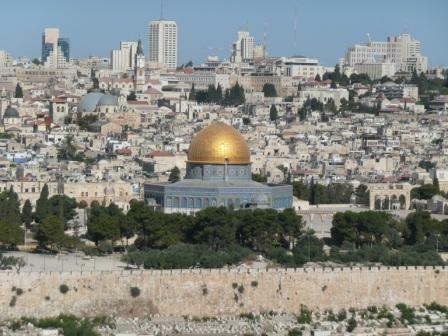 I stand with Israel.” Scathing of the Obama administration, she exhorted “Israel needs a friend. When it looks at the White House, it does not see one”. 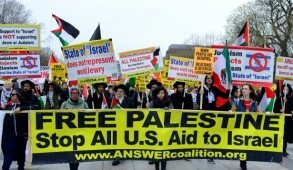 She called for drastic action against Iranian president Ahmadinejad, who was “striving for a second Holocaust”. Her crie de coeur was “Israel will never be up for grabs – not one inch, not one acre, not one square foot will ever be on the chopping block”. Her passionate address was followed by ZOA President Morton Klein who did not hold back any punches, expressing unequivocal support for settlements, castigating the failure of the Palestinians to uphold the Oslo Accords and accusing them of representing a criminal society unqualified to operate a state. He also scathingly condemned other American Jewish organizations for opposing the controversial Knesset legislation on foreign funding of NGOs. The climax of the evening was Glenn Beck’s emotional one hour oration which, like other speeches, was continuously interrupted by standing ovations. He presented an apocalyptic world outlook – a choice between good and evil, between black-and-white. He spoke passionately, with tears welling in his eyes especially when conveying his ardor for Israel and the need to avoid another Holocaust. He said he was motivated by Christian obligations and scathingly denounced Obama, his administration and the political left. Beck was awarded the prestigious Theodore Herzl and Brandeis awards by Sheldon Adelson, one of world Jewry’s premier philanthropists, publisher of Israel’s most widely read daily newspaper Israel Hayom and a fervent ZOA supporter. Adelson and his wife Miriam hailed Beck as a “most passionate Zionist who tells the truth about the Arab war against Israel”. 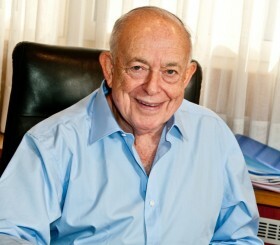 It is true that many American Jews bitterly oppose Morton Klein’s hardline approach, his fervent support for settlements and persistent condemnation of Obama policies. But he has unquestionably made a major contribution in advocating the cause of Israel. Nobody can deny that he has been influential in encouraging many American Jews to review their thinking. Klein does not purport to represent all American Jews or Zionists and ZOA’s weakness is its lack of bipartisan support. But there are a host of other major Jewish organizations that compensate by concentrating almost exclusively on the Democratic Party. I certainly do not endorse all ZOA policies. But in such a hostile climate, when many of the Jewish establishment leaders remain silent, I pay tribute and commend Morton Klein and the ZOA for acting as spirited and courageous advocates, relentlessly articulating the case for Israel and galvanizing support within the Republican Party and amongst conservatives.